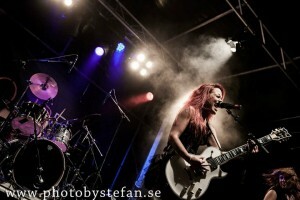 We had an awesome gig at Helgeåfestivalen! All because of you. It is such a great feeling when we are hitting the stage and seeing the crowd, we have spotlights in our eyes, the intro starts and makes us nervous and after the first chord we are in heaven! It is totally unbelievable. We’re so blessed that we can do this! So THANK YOU! for giving us this chance and the opportunity to share our music with you! !